Follow and Contact Us! Logo and Images are subject to Copyright . These pictures are property of nxtprogams.com, no plagiarism intended. Now that you've finished your attachment let's get started. Below are the instructions! 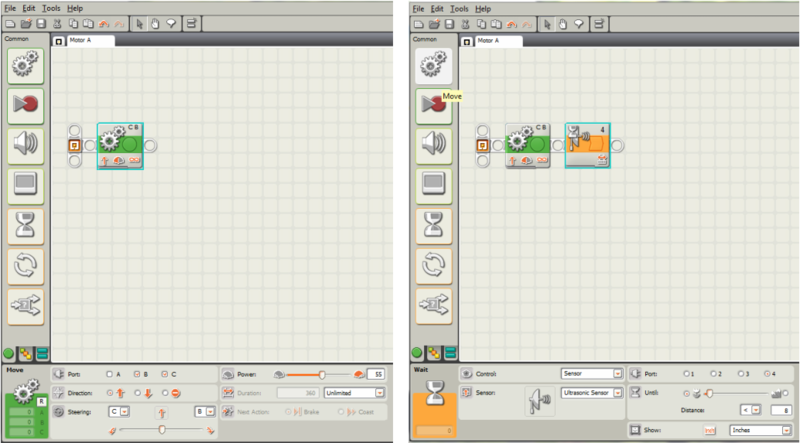 (Step 1) Add an infinite Motor block and set the power to 55. (Step 2) Add an Ultrasonic sensor wait block and set the distance to <8 inches. You may have to adjust it depending on your needs. (Step 3) Add a sound block! Scroll down and find "Object Detected"; select it and set the volume to 100. Copy the rest from the picture! (Step 4) NOW LET'S SEE WHAT YOUR ATTACHMENT CAN DO! Add a motor block and set it to Motor A, 45 degrees forward with 100 power! This is not shown in the picture but you may want to add the exact same block next to it except backwards, so it will be a quick slap! This would mean Motor-A, 45 degrees BACKWARD, 100 power. 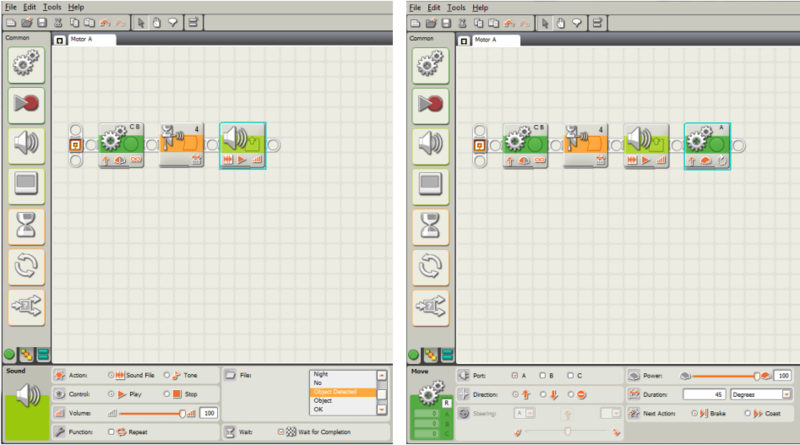 (Step 5) Add another sound block and copy what is shown in the picture!